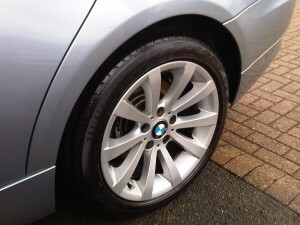 The majority of modern cars feature alloy wheels in a range of colours or styles, such as diamond cut or gloss finish. The only downside to this technology is that they can be prone to wheel scuffs, kerb damage or impact damage, which can greatly affect the overall appearance of your car. 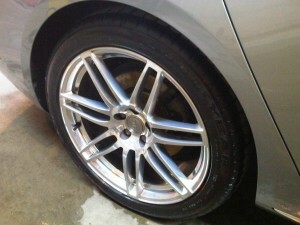 In fact, aesthetically, many vehicles are let down by unsightly alloys – particularly frustrating when you wish to sell your car. 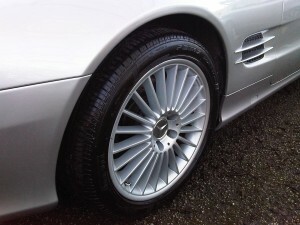 However, at JM Valeting and Detailing we are able to carry out full wheel refurbishments or partial repairs to individual or full sets of wheels. This can be done in-house with us or even mobile depending on your requirements. 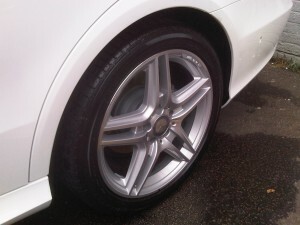 We have over 10 years of collective experience in alloy wheel repairs and bodywork repairs, and most of the work can be undertaken in a half day or day depending on the complexity of the job, so this ensures you won’t without your car for as long as is necessary. 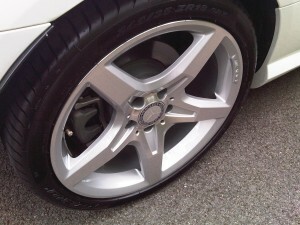 For more information on our alloy wheel repairs, please get in touch.